In our busy schedules it�s hard to find time to come up with new ideas, but just a few minutes can make a big difference to lessons. Below is an email that illustrates just this point�is there anything hanging around your room that you could use this week? 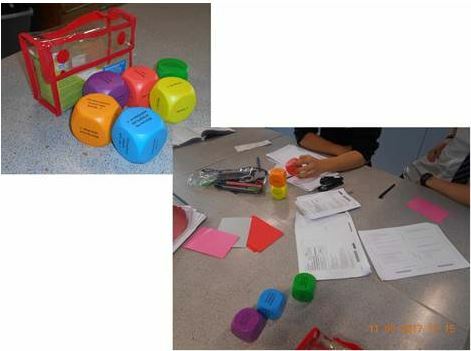 I thought I would share this since there was a chat on the thinking dice being used at the last staff meeting around the learning and development groups. They found it easier to form questions using them and as the taxonomy got harder they took longer to answer as they really had to think.